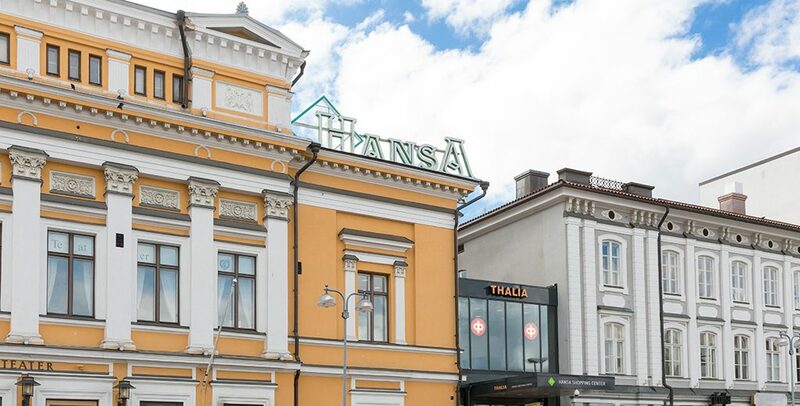 Veritas Pension Insurance, the Åbo Akademi University Foundation and Elo Mutual Pension Insurance Company have set up a new limited partnership company to manage their properties inside Shopping Centre Hansa. The properties and property company shares, which up till now were owned directly by the parties, are transferred to the new company. The value of the holdings totals 180 million euros. The investment company shall be administered by Exilion Management Oy. Ari Talja, CEO of Exilion Management Oy, has been appointed the CEO of Kauppakeskus Hansa GP Oy. “The new investment company increases the assets managed by Exilion to more than 500 million euros and is a natural next step in Exilion’s new strategy to manage several property investment entities together with our institutional partners,” says Ari Talja, CEO of Exilion Management Oy. Legal advice regarding the establishment of Kauppakeskus Hansa Ky was provided by Borenius Attorneys Ltd. External capital is financed by Handelsbanken. Exilion Management Oy is a real estate management company founded by a group of Finnish institutions. In addition to Kauppakeskus Hansa Ky, Exilion manages Exilion Real Estate I, a limited partnership company established in 2007. Exilion Real Estate I focuses on office, commercial and hotel properties in the Helsinki Metropolitan Area.